The Internal Revenue Service, or IRS, doesn’t have a very good way for taxpayers to check in on the status of their accounts. This is because, in general, taxpayers are expected to basically keep track of their own tax accounting. 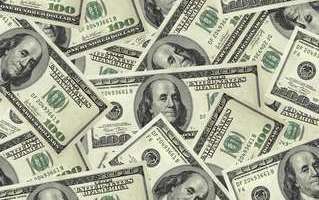 If you have a salaried job, your withholdings are printed on your paystub. If you own own business, you are expected to keep track of your own quarterly payments. And, if there is another situation, you are supposed to have records anyway, to use for filing your taxes, if nothing else. But, what if your account situation isn’t so simple? The first reason you might want a tax return transcript is that you don’t have a proper record of what information you filed on your tax return. You are supposed to keep a copy of your return for your own records, but even if you do, it can get lost or destroyed in any number of ways. Fortunately, you can order a Tax Return Transcript directly from the IRS. A Tax Return Transcript shows most of the line items from your original tax return including important information like your total wages,adjusted gross income and taxable income. 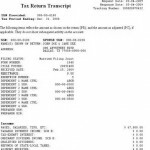 The transcript also includes the various forms you filed with your income taxes. For example, a Schedule C for your business would have its various line items reported as well. Using the adjusted gross income from your transcript allows you to determine what tax bracket you are in, or maybe what tax bracket you’ll be in if you get married, without having to guess what your gross income turns into on your tax returns. For some lenders, a tax transcript is good enough if you don’t have a copy of your taxes. If it isn’t, download the proper year IRS Form 1040 and recreate it with your tax transcript’s information. Just fill in the blanks. Where it says to sign and date it, just write, “Copy for File,” or something similar. Then, make a copy and give it to the lender. A Tax Account Transcript is a little bit different. 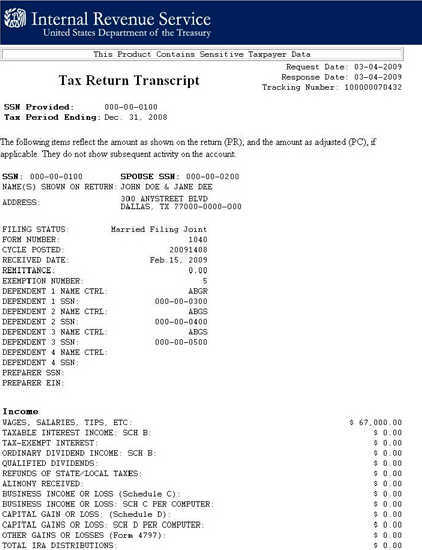 Rather than showing you what the lines of your tax return were, this transcript shows you what happened to your account when. For example, you may know what date you mailed your quarterly tax payment, but you wonder when the IRS actually got it, this will show. Also, if you didn’t pay your taxes on time and had to setup a payment plan or otherwise make tax payments, the account transcript will show you when each of those occurred. A tax account transcript is also useful to verify that payments have been made by a third-party. For example, if you file bankruptcy your bankruptcy estate might make a payment toward any back taxes you owed when you filed. This is one way to find out how much that payment was, and when it occurred. To order a tax transcript, go online directly to the IRS. Choose click the link to order your tax transcript and then choose whether you want an account transcript (payments, interest, penalties, credits) or a return transcript (what was on your 1040). Enter your Social Security number, name, date of birth and address. The automated system will send your transcript automatically in 5 to 10 days. Keep in mind that you can only use the online system if you don’t need the transcript sent to another address, as the system will send it automatically to the address the IRS has on file for you.